Once you’ve got the perfect Christmas tree picked out, make sure you take care of it so it’ll last the whole season! You have visited the tree lot and picked out the perfect, beautiful, green, lush, Christmas tree for your home—so what now?! 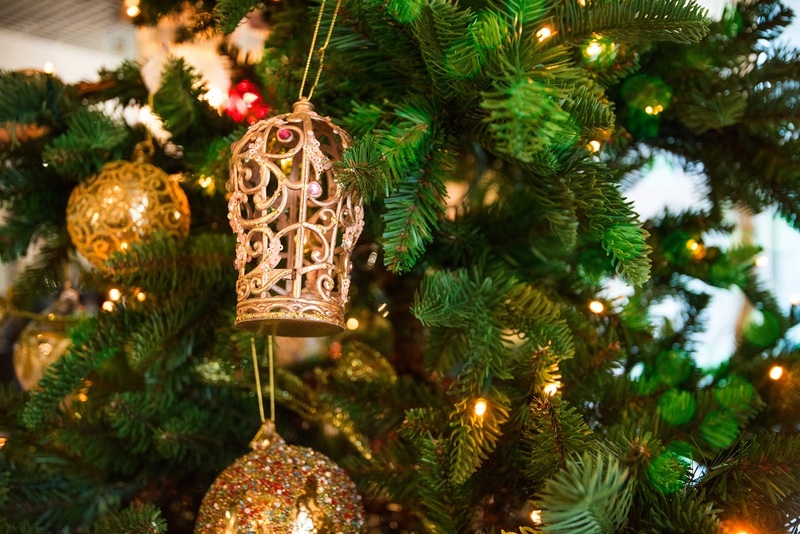 Here are some tips for buying and caring for your Christmas tree this holiday season. When you find a Christmas tree in the lot, you should first make sure that it is fresh enough to last through Christmas dinner! Take a branch between your thumb and index finger and gently pull it towards you. If a lot of the pine needles come off in your hand, it is probably not too fresh. If only a couple needles fall off, the tree is fresh. Another way to test is by shaking the tree. Again, if only a couple pine needles fall down, your Christmas tree is pretty fresh. If you aren’t decorating your tree right away, keep it in a sheltered and cold area in a bucket full of water. Watering is one of the most important parts of keeping your Christmas tree fresh. When you are ready to set up your Christmas tree, make a fresh cut across the base of the trunk and put the tree in a tree stand that can hold at least a gallon of water. Without making a cut, your Christmas tree won’t properly absorb water. As a rule of thumb, don’t ever let your tree stand run dry. If water drops below the base of your Christmas tree, a hard crust of dried sap will form on the bottom, causing you to need to do another cut on the bottom of the tree. Your Christmas tree will absorb a ton of water the first couple days, so make sure to set an alarm on your phone or make checking the base a regular part of your routine. Be sure to keep your Christmas tree far away from any heat sources including candles, fireplaces, space heaters, radiators, television sets, heat vents, and literally anything that puts off a good deal of heat. These will make your Christmas tree dry out sooner and potentially catch it on fire. Tree Care Throughout the Year with Nelson Tree Specialist! Nelson Tree Specialist provides specialty arborist services, tree crane services, tree care services, and dead tree removal services. We are well known for our top-notch skills and professionalism. We are members of the International Society of Arboriculture and we are considered certified arborists. We are also an accredited business through the Better Business Bureau and we have great reviews on Angie’s List. To find out how we can help your trees, whether they are exotic and strange or normal and plain, give us a call at (301) 854-2218 (Washington, D.C.) or (202) 909-5662 (Baltimore) or visit us online. For more interesting tree facts and tips, follow us on social media on Facebook, Twitter, and Google+. This entry was posted on Friday, December 9th, 2016 at 10:51 am. Both comments and pings are currently closed.